This leaves his sister Elsie, who was a favourite with me of all the aunts I did have. She was lovely in her ways and I am sure that her regard for me was a genuine recognition that although she had fallen out of favour with my father, her brother, it never lessened my regard for her. 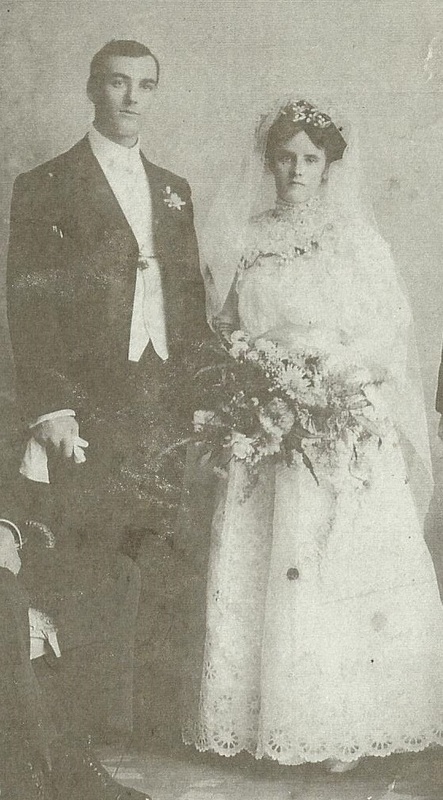 Frederick and Elsie Gladding’s Wedding Day 1908. Aunt Elsie had married a man called Gladding who was a fire-fighter. She had one son Desmond, a few months older than me, and a daughter Gwendolyn, who married a boy from schooldays, had a daughter and died sometime in the late 60’s in Wellington. Desmond is still around but like me retired, has not done much with his life other than coast along, has a couple of sons and a daughter, wife a pottery exponent, a “sweetie”. Elsie Harman Daniel was born on 3 August 1885 in Auckland, New Zealand birth certificate number 1885/9847. The middle name Harman was taken from the surname of a family Thomas and his family travelled with from England. Elsie’s brother was by then the Rev. Herbert Daniel, he officiated at the wedding and later at Elsie’s daughter (Gwen’s) wedding also. Frederick was one of six children to Herbert Frederick Gladding and Emma Harper. Both Frederick and his brother Arnold were fire fighters. He was a member of the Albert Street Fire Brigade Station for eight years. His father was also a fire fighter and later the Chief Fire Inspector. Frederick was, like his father, a boot maker by trade, he was in addition a good footballer (rugby) playing for the City Football Club and a member of the second fifteen, winner of the Auckland Rugby Union first junior championship. He was one of the fastest sprinters in Auckland. 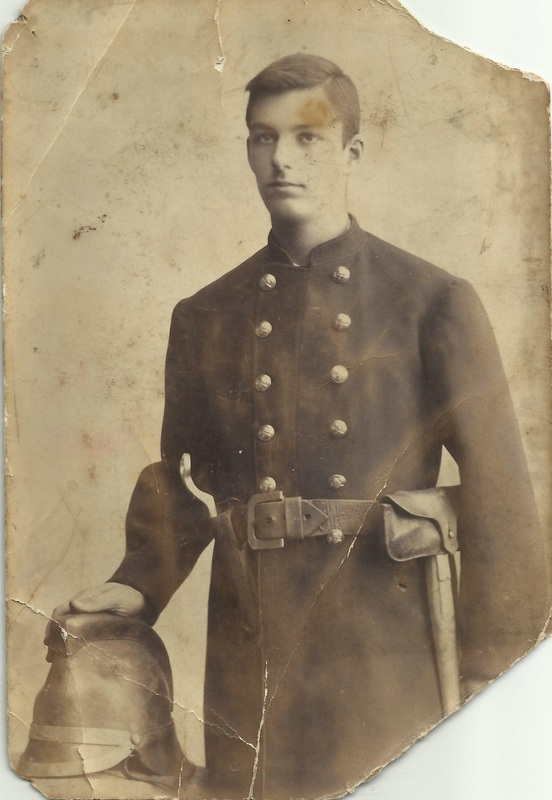 Frederick was a member of the Auckland Section of the Sixth Contingent – Mounted Rifles – which went to the Boer War in the beginning of 1901 (Service Number 3231). The Auckland 6th Contingent just before departure – Frederick, second back row 7 in from the left – Sir George Grey Special Collection. At the outbreak of WW1 Frederick enlisted with the NZ Medical Corps, specifically the NZ Field Ambulance and became Corporal F Gladding (Service Number 3/1317). 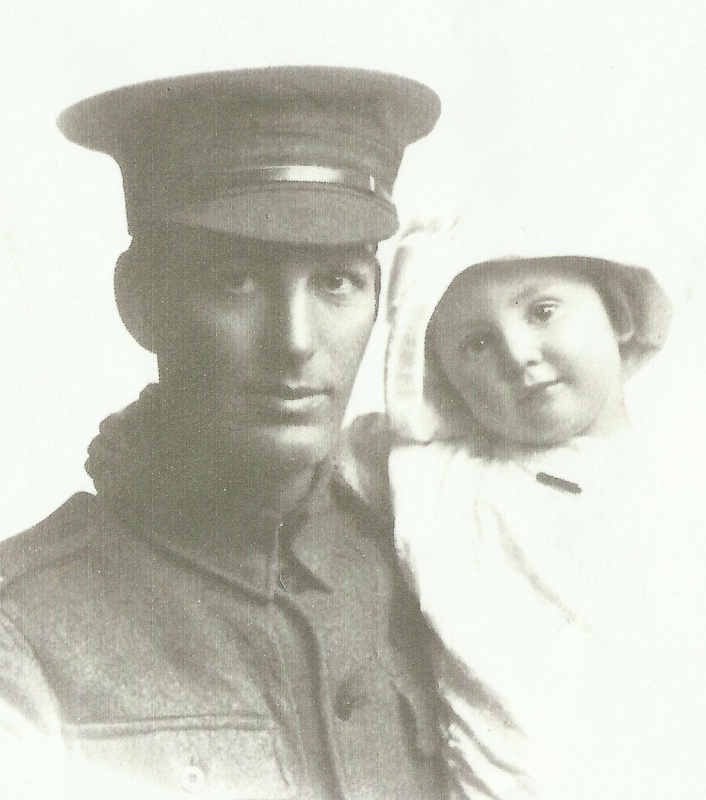 Frederick died in Palmerston North Hospital on 22 December 1915 due to an internal complaint and was buried in a military funeral at O’Neil’s Point Cemetery, Devonport, next to his infant son Dannie. Elsie and Frederick had three children, Frederick Daniel (Dannie) 1908-1909 he died aged 12 months as a result of scalds by “upsetting a teapot”, Desmond Herbert 1911 – 1999, and Gwendolyn Elsie 1913 – 1980. 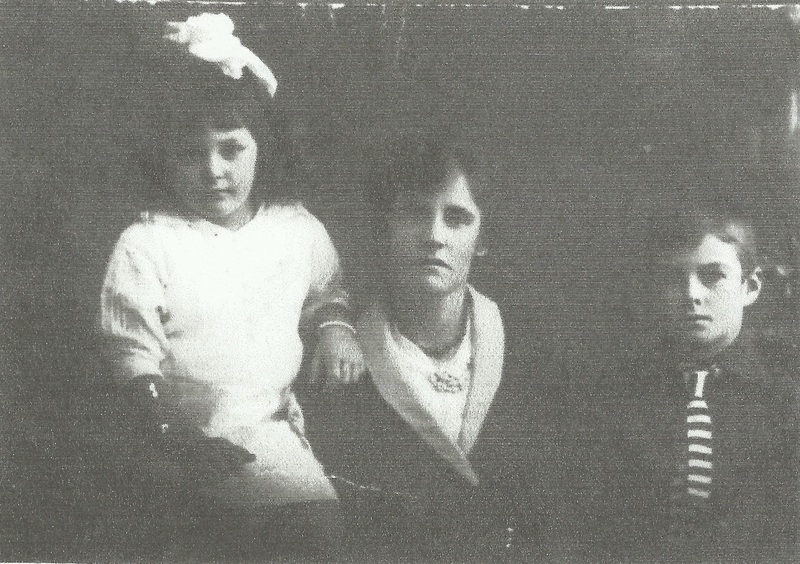 Elsie lived at 27 Roslyn Terrace in Devonport most of her life. From the 1928 Electoral Roll Clara Emma Daniel (mother) is recorded as still living at the same house, perhaps it is not until the last year (1929) that Clara is moved into the Costley Home. At the young age of 30 Elsie had become a widow and never re-married. Elsie died in 1976 in her ninety first year (Death Certificate number 1976/27626). Elsie with Desmond and Gwendolyn. 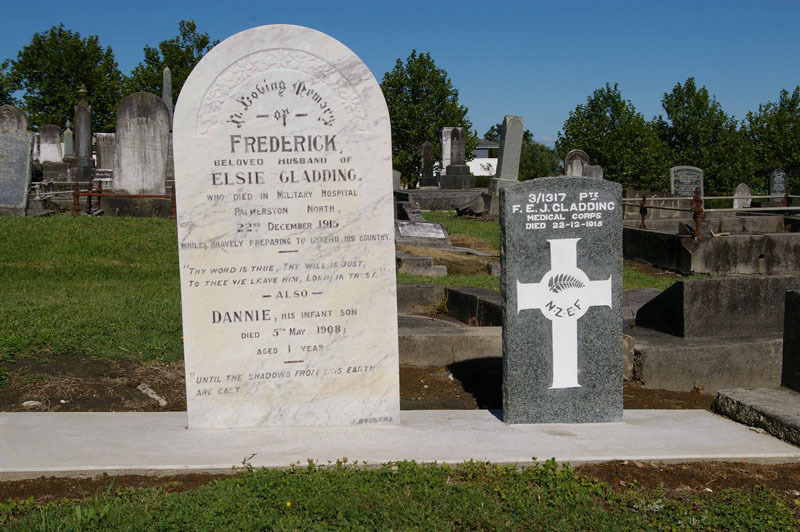 Frederick and Elsie’s Headstone – Devonport.